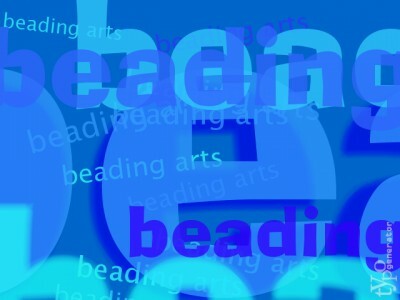 Beading Arts: Bead & jewelryblogging round-up! A lovely piece of paper inspires a new red necklace! Come see "what matters most" on Cindy's bead table this week! Jean reviews STEEL WIRE JEWELRY by Brenda Schweder and is totally wowed! Charlene reviews the book Creating Glass Beads by Jeri L. Warhaftig. It’s a wonderful book for ambitious beginners and intermediate glass bead makers. Charlene – she just wants the beads! Love buttons? Michelle Mach is hosting a button swap! No need to be a beader, all button fans are welcome! How fun! Celebrate National Craft Month with jewelry and all kinds of other interesting crafts to try. Take a peek at what's on the bead table each week - it's Bead Table Wednesday! If you make earrings, you'll want to read Michelle's review of the Easy Earring Cards Punch Kit.